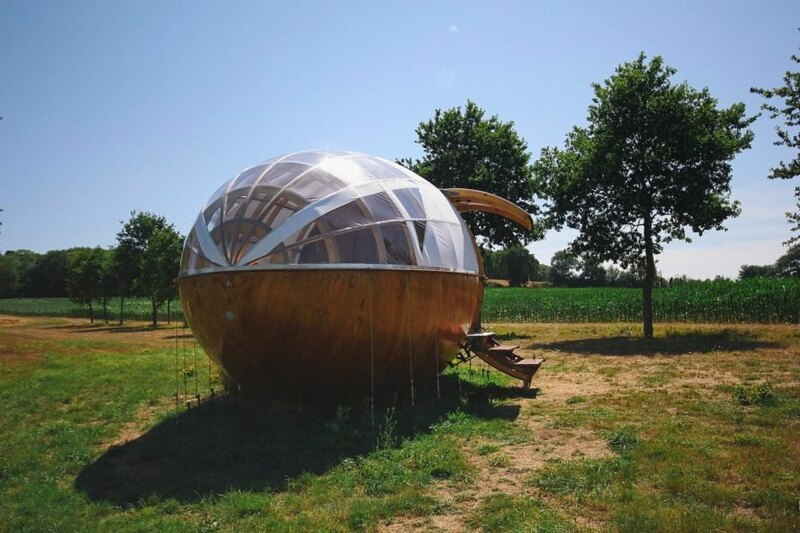 Mr Plocq's Caballon is a beautiful 160-square-foot <a href="https://inhabitat.com/9-incredible-pod-homes-to-help-you-win-at-off-grid-living/">wooden pod</a> located on the banks of the Loire river estuary. 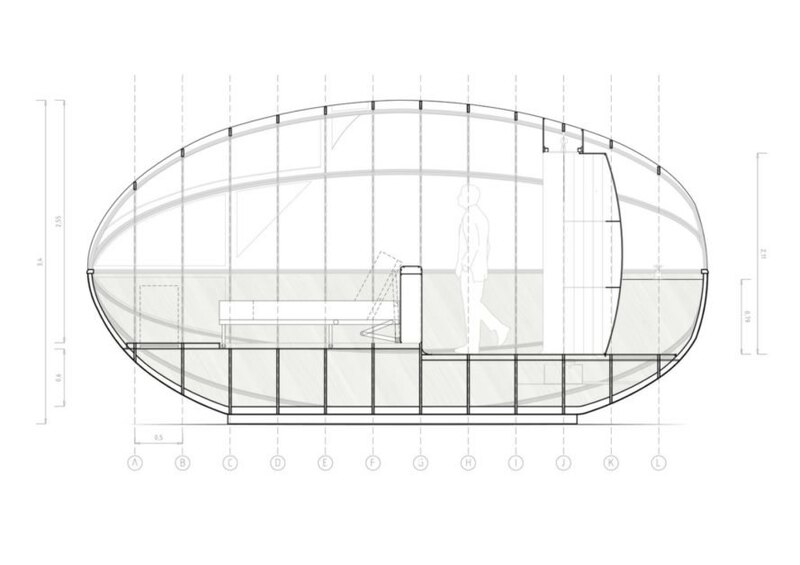 The pod's unique design was inspired by the life of real-life bird charmer Émile Plocq, who supposedly built his own boat to follow migrating birds to Africa. 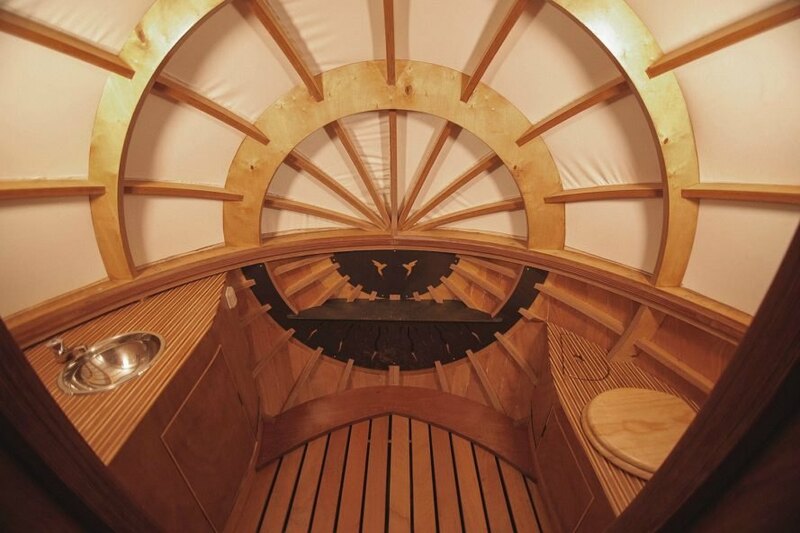 Architects Aurélie Poirrier, Igor-Vassili Pouchkarevtch-Dragoche, and Vincent O’Connor created the <a href="https://inhabitat.com/the-grandview-barrel-sauna-is-a-backyard-oasis-for-the-entire-family/">barrel-shaped retreat </a>by combining techniques used in naval and airplane carpentry, resulting in a fun boat-like hull topped with a transparent "cockpit" shell. 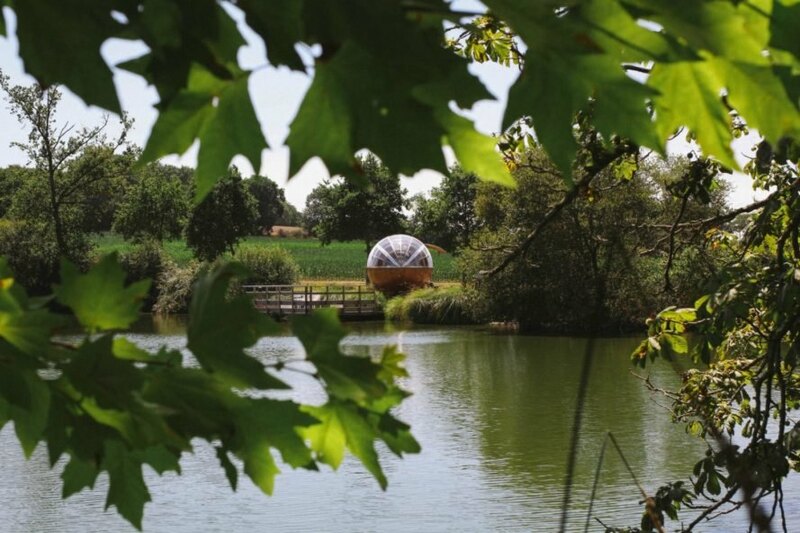 The architectural team designed the pod for the local “Imaginary Nights” celebration, an annual event hosted by tourism board, Loirestu. This year, Mr Plocq's Caballon's inventive backstory, along with its great compact design, earned the pod its place in the event. 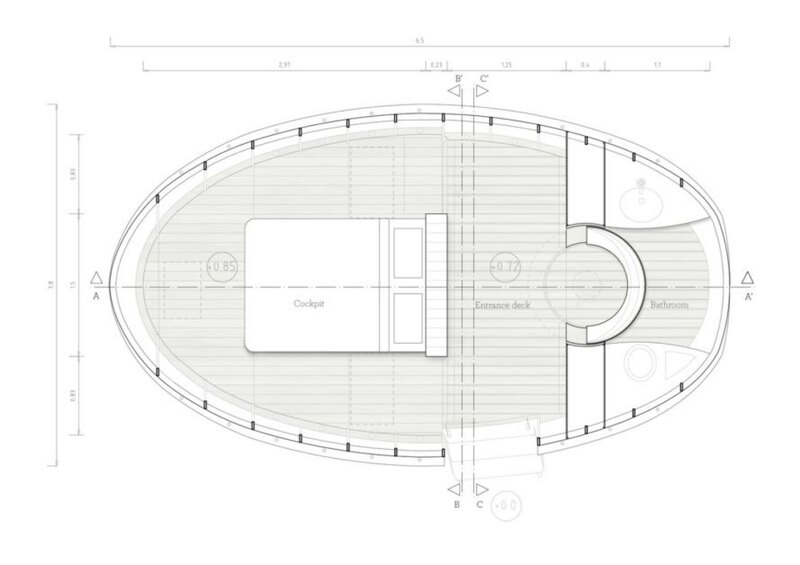 The design is basically a ship-like wooden hull on the bottom, topped by a transparent cockpit partially covered by white canvas. 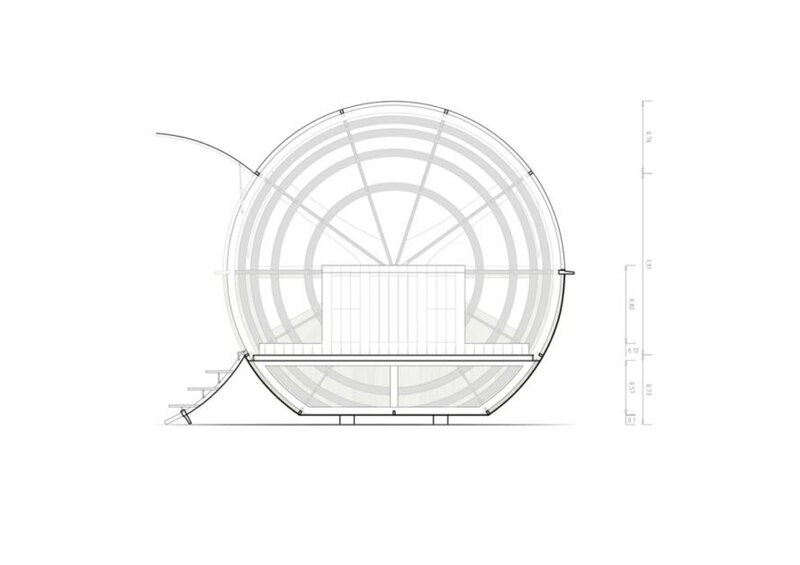 Access to the interior is by a double swing door that opens up vertically as the steps fold out to the ground. 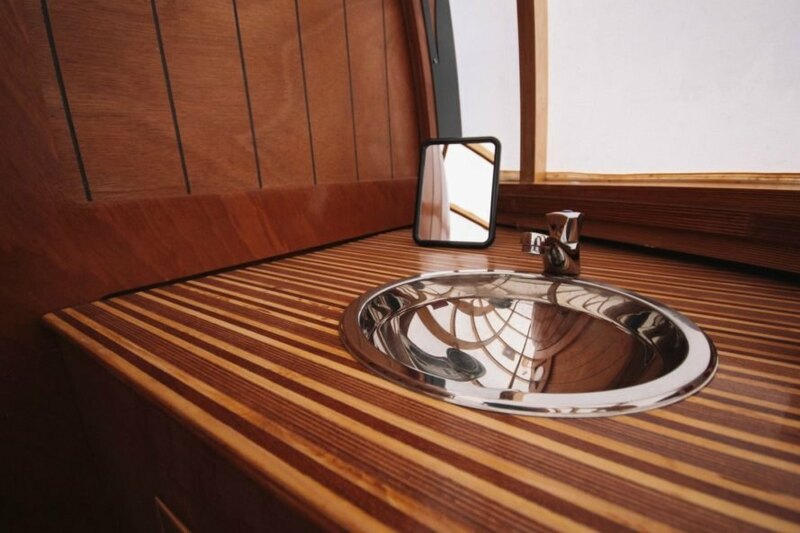 A compact bathroom was inspired by boat latrines. 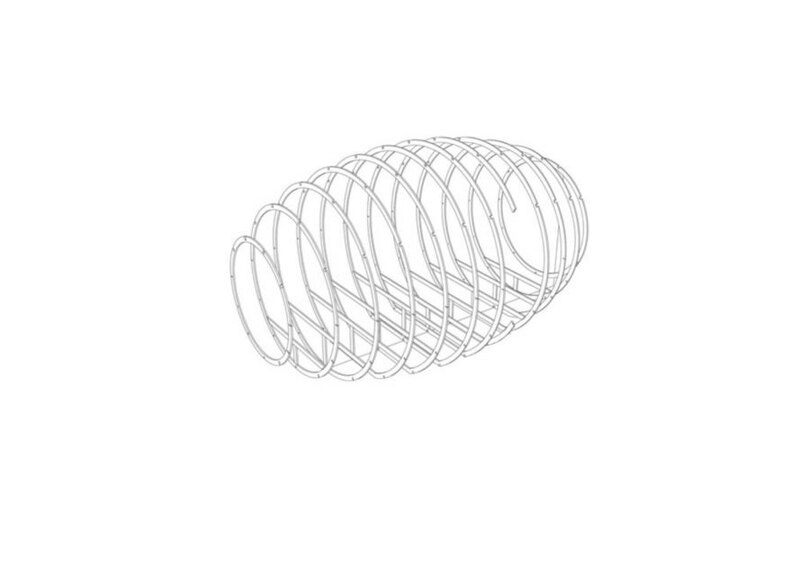 The stairs fold out of the double swing door. 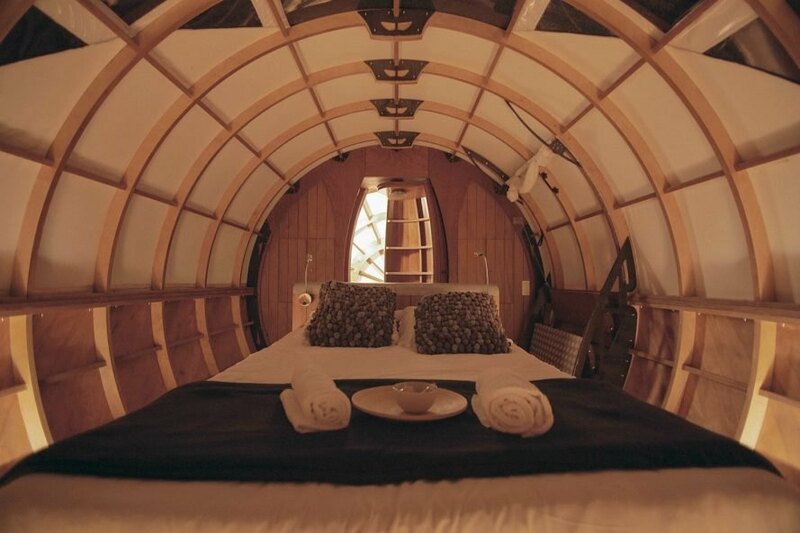 There are two private areas in the interior, the bedroom and the bathroom, which are separated by a wooden door. 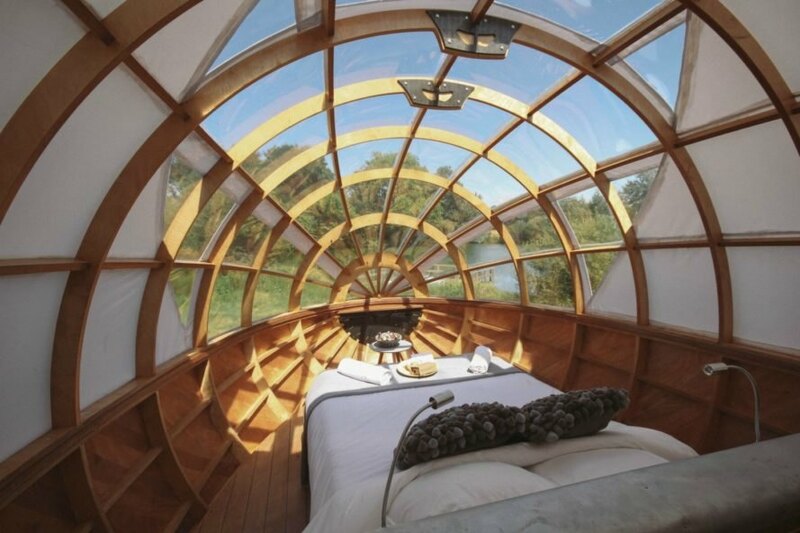 The bedroom is located in the cockpit area, whose transparent glazing allows guests to sleep under the stars. 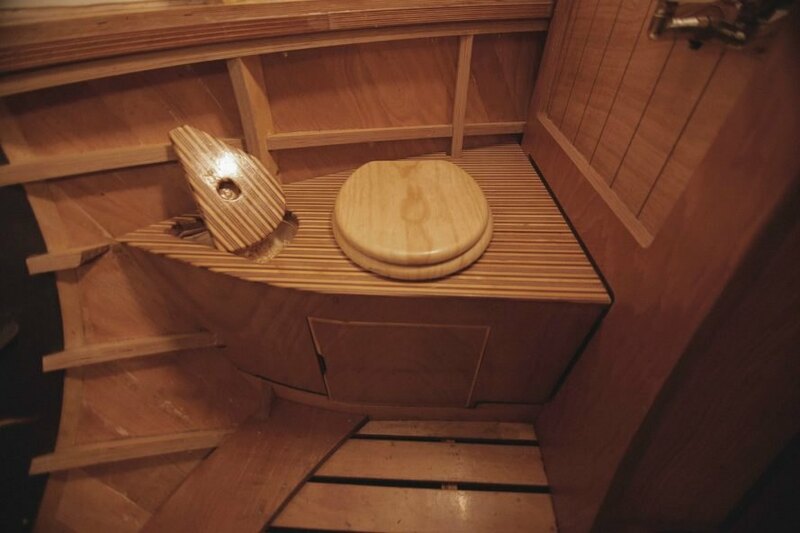 The remaining hull space is the small bathroom with a sink and dry toilet, which is reached by a hollow 360° rotating door inserted into double wall behind the bed. Sink in Mr Plocqs Caballon. 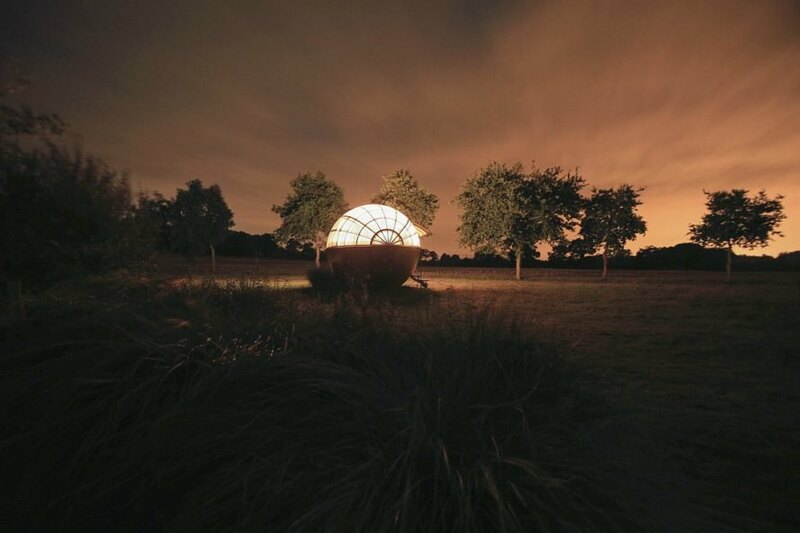 The pod is located in a serene spot near the estuary. 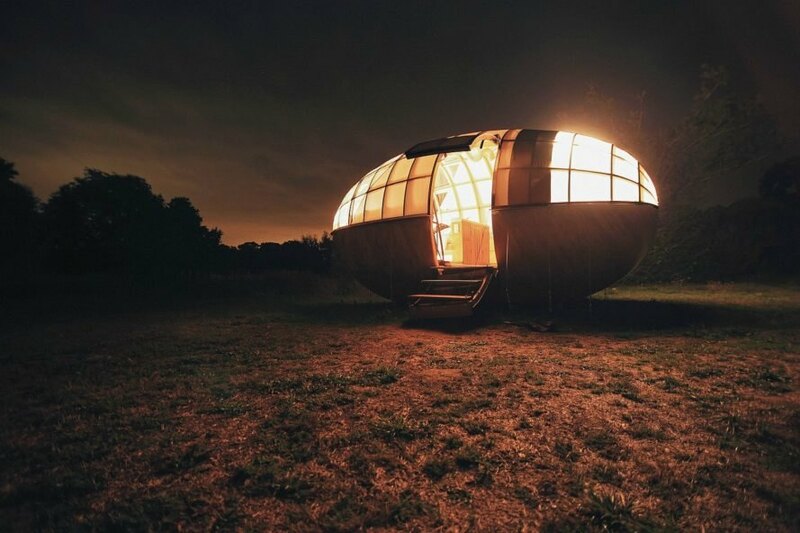 Guests will enjoy the surrounding nature. 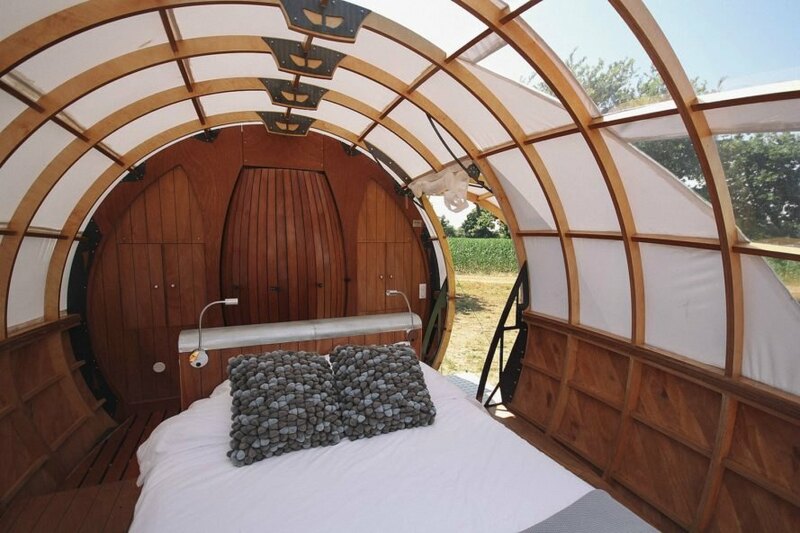 The tiny space is perfect for an off grid escape. Mr Plocqs Caballon is a compact 160 square feet. 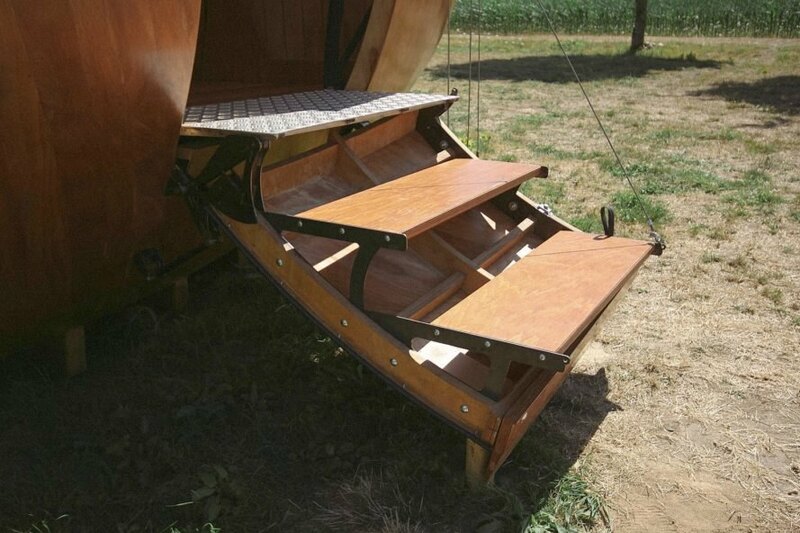 The design uses principles from boat and aircraft carpentry. The innovative "shower airlock" door allows guests ultimate privacy when turned inwards towards the bathroom. 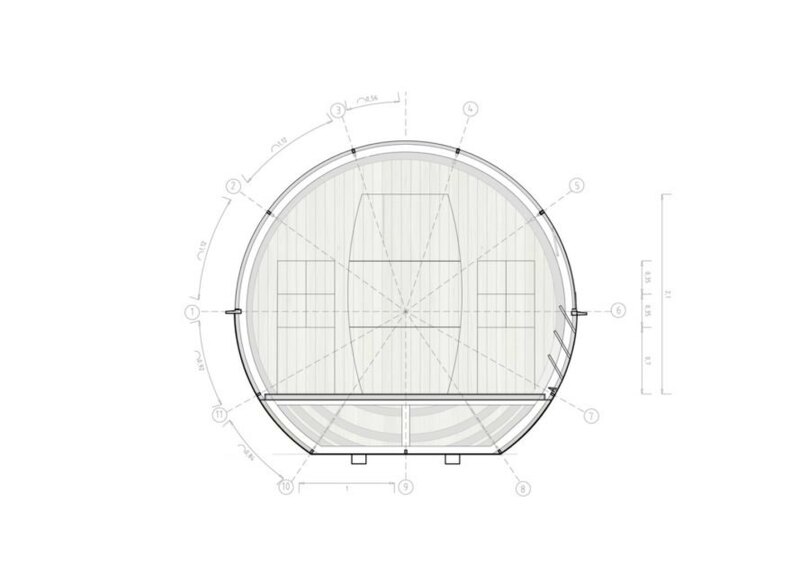 The pod's hull was inspired by ship carpentry. 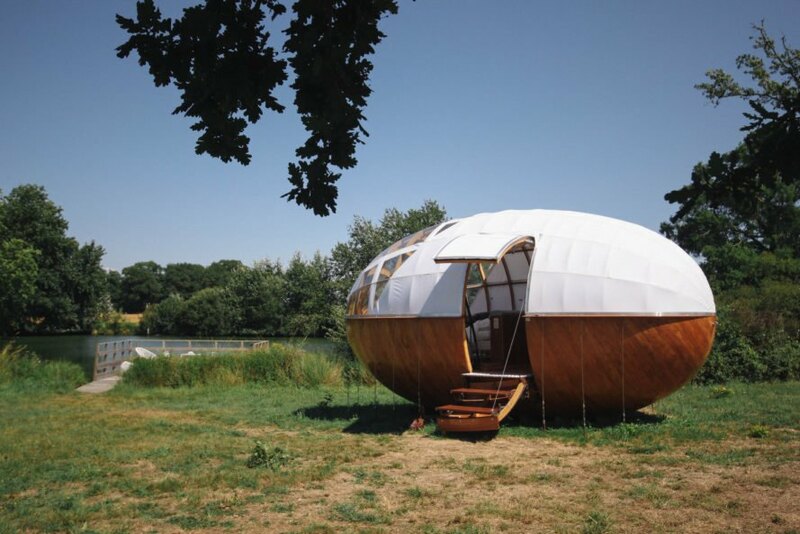 Mr Plocq's Caballon is a beautiful 160-square-foot wooden pod located on the banks of the Loire river estuary. 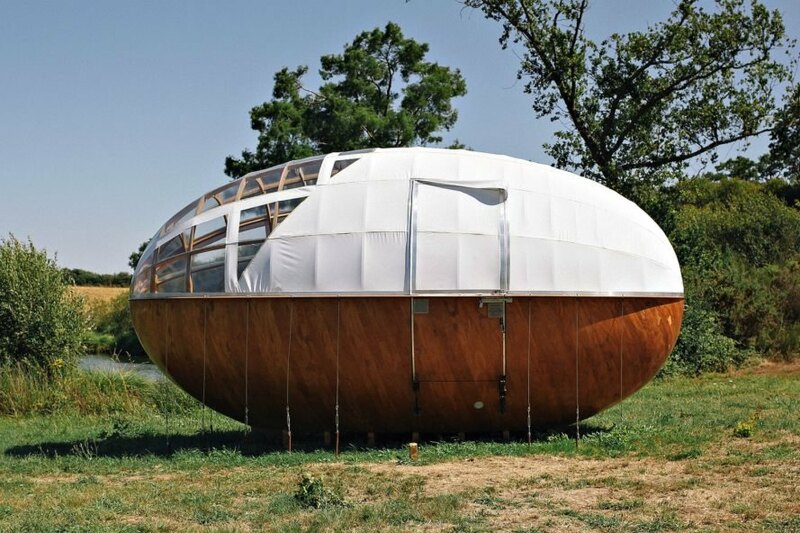 The pod's unique design was inspired by the life of real-life bird charmer Émile Plocq, who supposedly built his own boat to follow migrating birds to Africa. 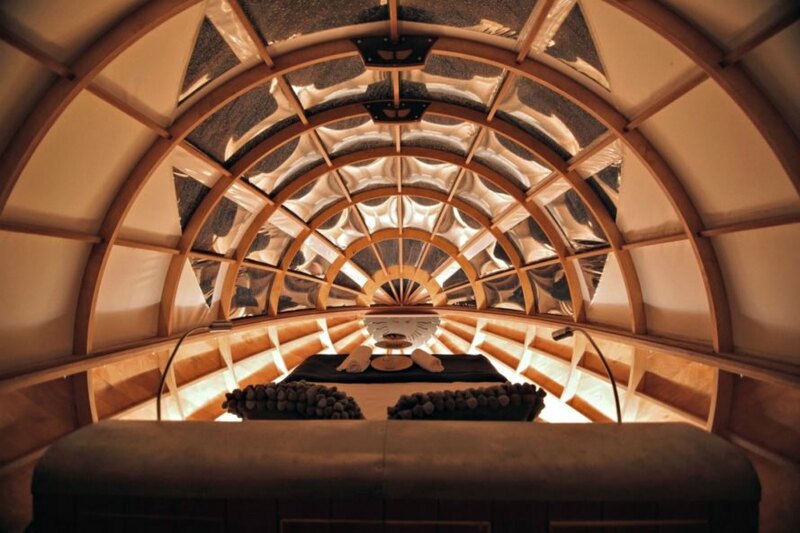 Architects Aurélie Poirrier, Igor-Vassili Pouchkarevtch-Dragoche, and Vincent O’Connor created the barrel-shaped retreat by combining techniques used in naval and airplane carpentry, resulting in a fun boat-like hull topped with a transparent "cockpit" shell.